The month of January flew by and my Elm Street OMG didn't get finished. 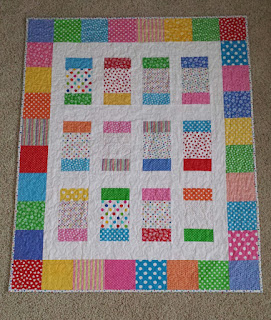 The quilt label will have to be done in the next few days before we see our longtime friends whose daughter had the baby girl just this week. Other projects were finished. 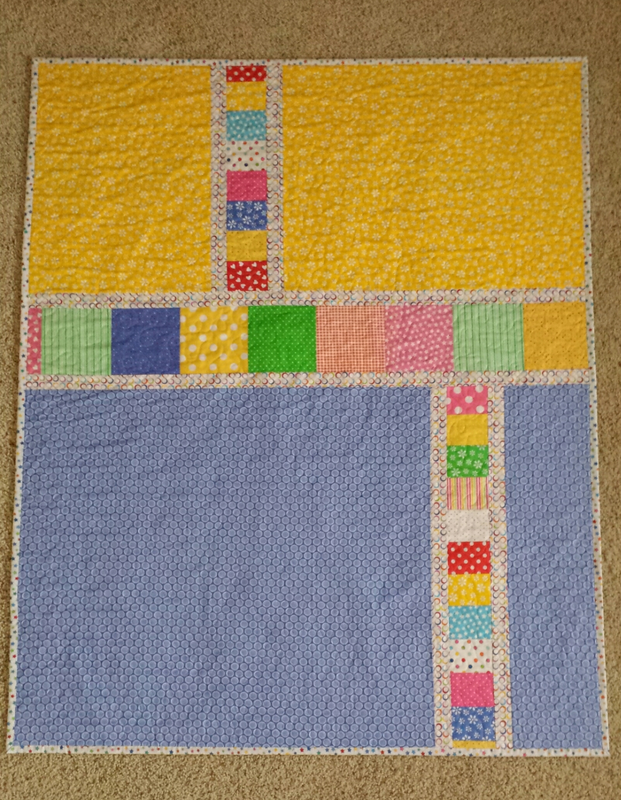 A Hanukkah quilt top was pieced, quilted, and bound. Now to make a label. 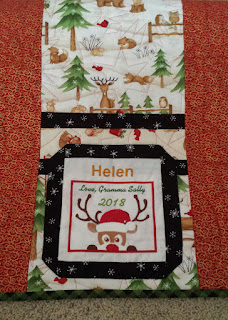 Ten quilt blocks were made for a 2019 Christmas quilt. I am really trying to avoid the holiday rush this year. 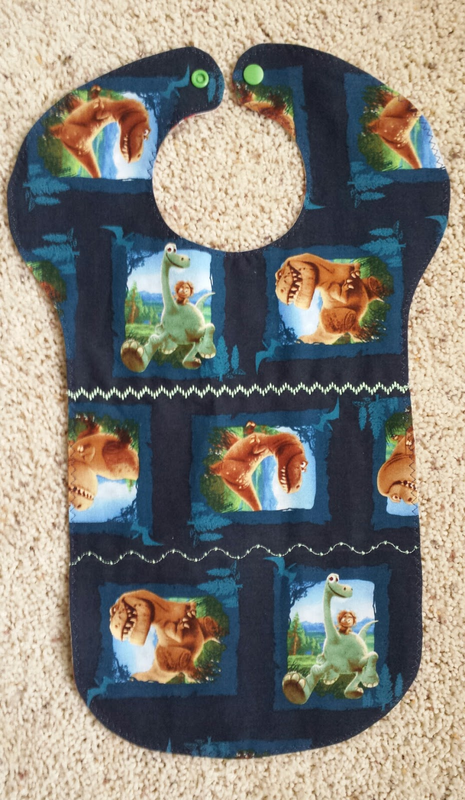 Just today, I made a new bib for Jojo and two pillowcases for my little sis's best friend now living in Texas. They won't get there for Chris' birthday but they will by Valentine's Day. 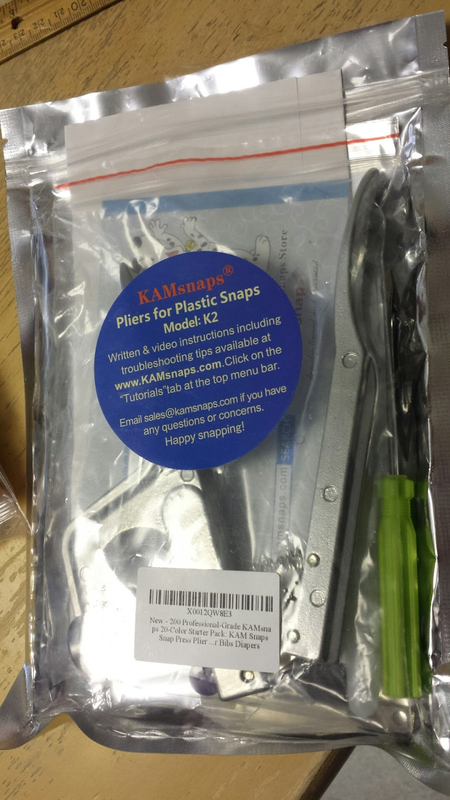 The bib was needed and I wanted to play with my new toy, a genuine KAM Snap Tool and snaps. 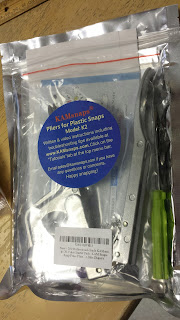 I have been wanting a tool to apply plastic snaps for years. With enough Amazon Prime Points saved, I splurged for my birthday and ordered one. It works amazingly well. I wish I had it all the years I was making clothes for my babies and toddlers. The KAM snaps go in easily and perfectly. My old tools applied the pronged metal snaps and I had a very high rate of application failure with those style. I have lots of those snaps left but I am afraid they will not be used unless I am desperate. The new tool is too much fun! 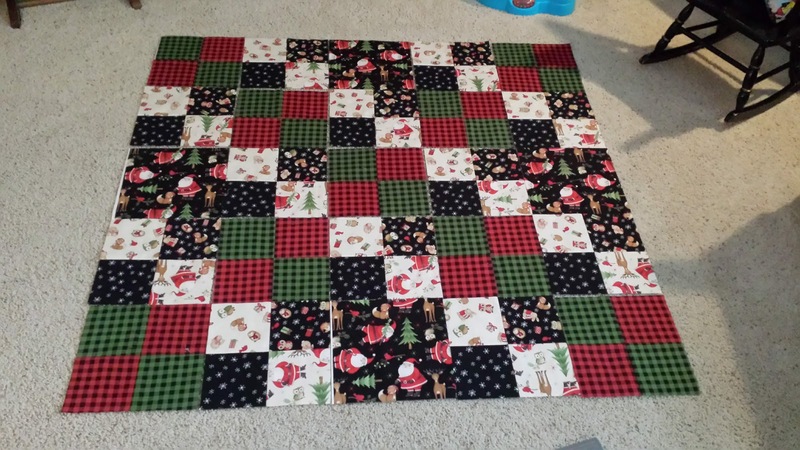 Just a quickie to link up to the Elm Street Quilts January 2019 OMG. 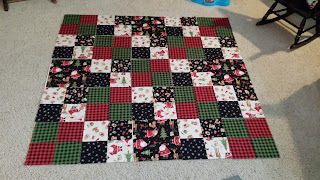 My goal is to put a label on this sweet little quilt that was originally intended for a new adopted granddaughter, but we were blessed with an adorable grandson who has stolen my heart. It will go to friend's whose daughter is having a little girl. 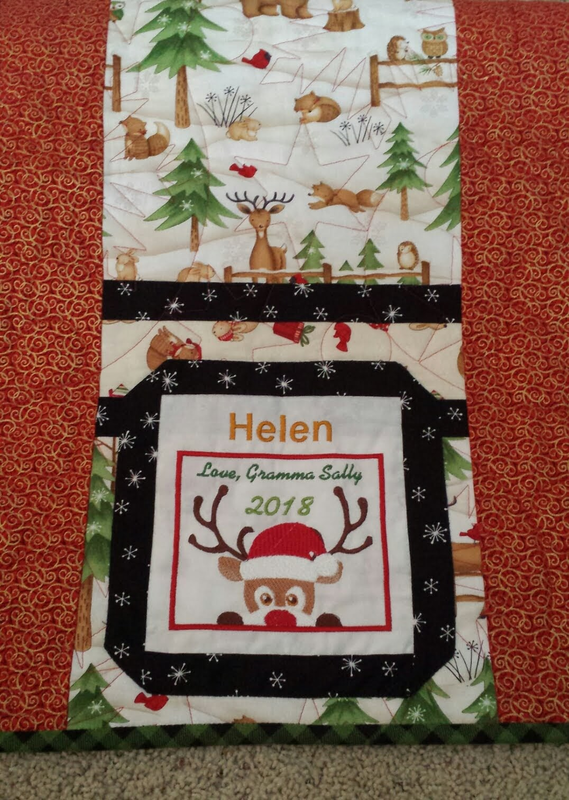 The Christmas quilts with coordinating pillowcases were well received. The labels complemented the themes perfectly. It was a wonderful year of finishes for the Elm Street OMG. I am looking forward to another year of fulfilled goals. Thanks to all who make the event successful! 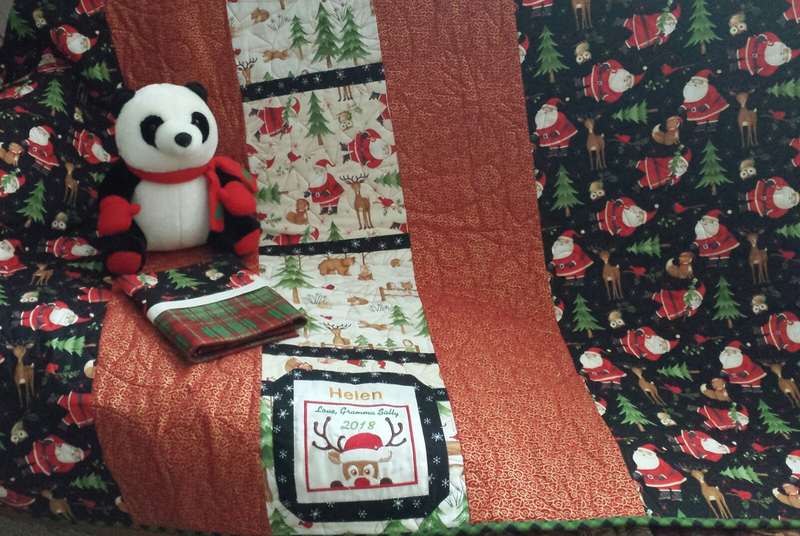 Two quilts are in need of labels before they can be wrapped and put under the tree. 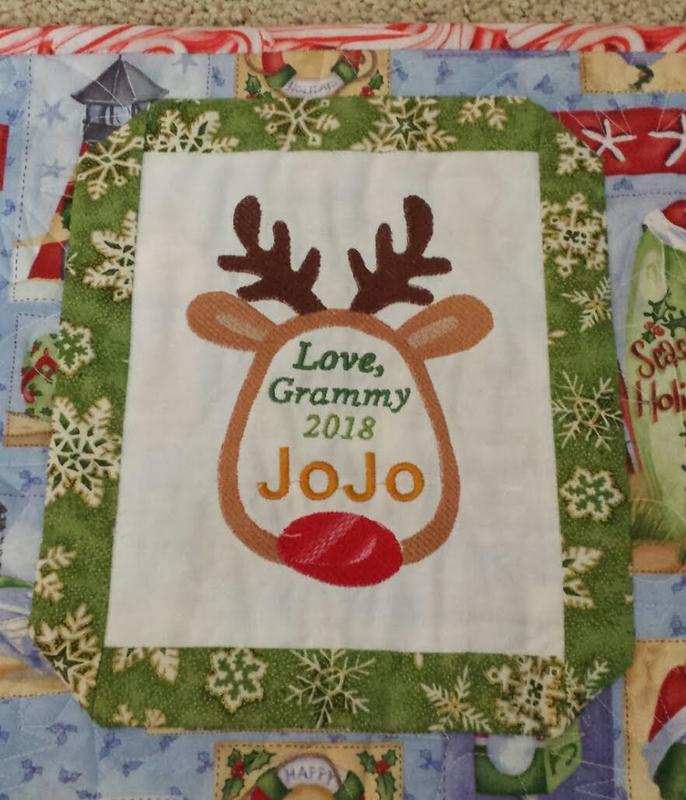 Betty's Original Embroideries offered two reindeer alphabet fonts that should make perfect labels for these quilts. Hopefully, I will get to the embroidery this weekend and finish the labels before Christmas. 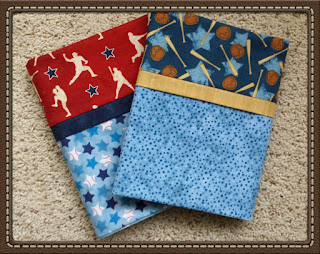 They are my my Elm Street Quilts OMG for December. 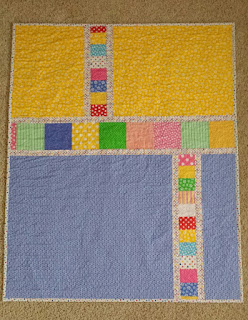 Hanukkah is this week and unfortunately the Hanukkah quilt is still sitting in pieces. It will be a future goal. I am not planning on staying up all night to get it done before Hanukkah ends. I have had bronchitis and have been getting behind in most things except one. I binged on Christmas movies and finished the binding on my November OMG for Elm Street Quilts. 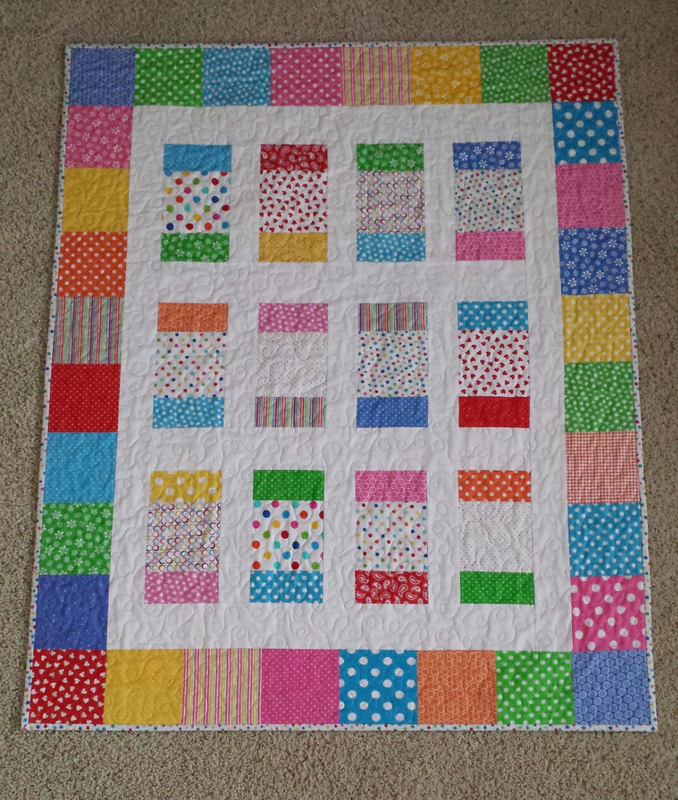 The original goal was to finish the top but I found time to make a back and quilt it. My dilemma is resolved. I didn't really like the red metallic print for the last border with all of the other prints. A Google search yielded the print in the top left of the photo and then the shop just happened to have another one of the prints in that line that will work for the binding. The fabrics have arrived and I can proceed with borders and finish piecing the top. 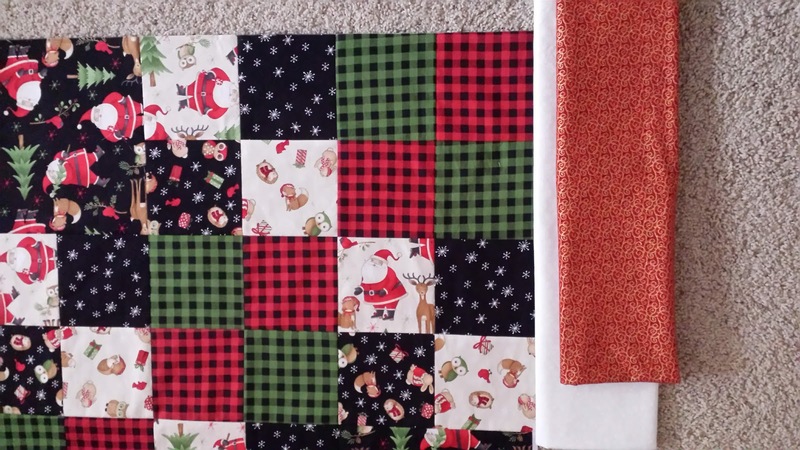 Completing the top is my Elm Street Quilts November OMG. 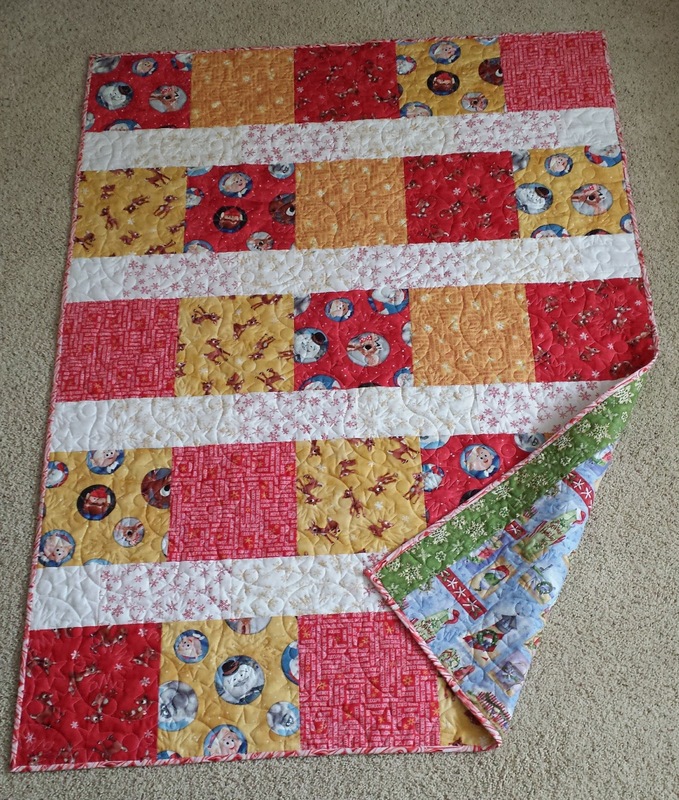 October flew by but my Elm Street Quilts OMG was met. 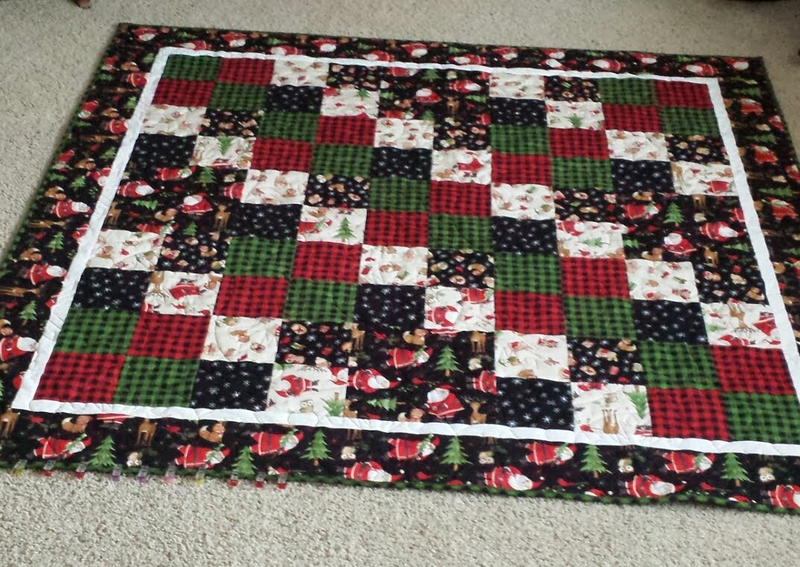 Except for a special label, the first Christmas quilt is finished. The candy cane print binding was a near perfect match for the shades of red in the Rudolph layer cake blocks. 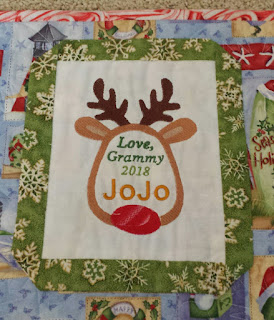 I am waiting for the letter "J" in the free Reindeer Peeking font to come up at Betty's Embroidery for the special label.